British aircraft carriers will join freedom of navigation efforts in the South China Sea, the UK’s ambassador to the U.S. said on Dec. 1. “Certainly, as we bring our two new aircraft carriers onstream in 2020, and as we renew and update our defense forces, they will be seen in the Pacific,” Ambassador Kim Darroch told a Washington think tank. 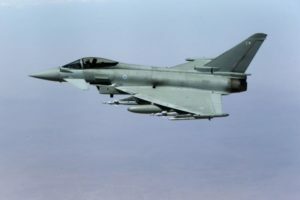 Darroch added that British Typhoon aircraft currently deployed on a visit to Japan would fly across disputed parts of the South China Sea to assert international overflight rights. “We absolutely share the objective of this U.S. administration, and the next one, to protect freedom of navigation and to keep sea routes and air routes open,” Darroch said. Meanwhile, Darroch said British Prime Minister Theresa May and U.S. President-elect Donald Trump discussed the importance of all NATO members meeting their defense spending commitments in a telephone call this week, their second since Trump’s Nov. 8 election victory. “I think the criticism … during this election campaign that a number of NATO countries aren’t doing everything they can … is entirely fair and we will see how the incoming administration wants to take that forward,” Darroch said.